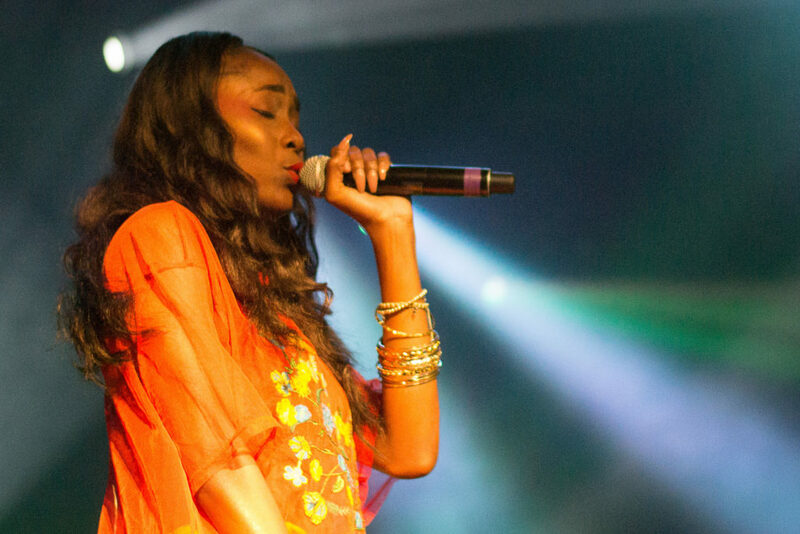 Genre-blending is not an uncommon practice anymore. 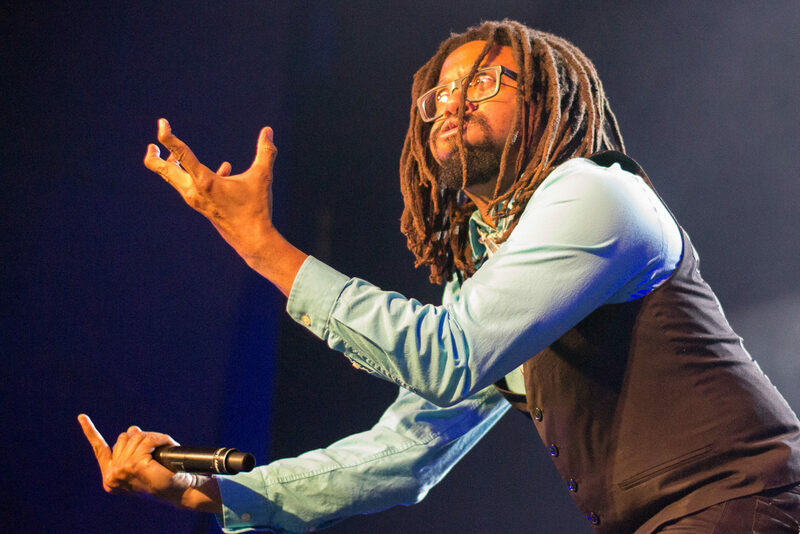 It’s not so out there these days to hear about electronic-rap-metal or indie-folk-punk. 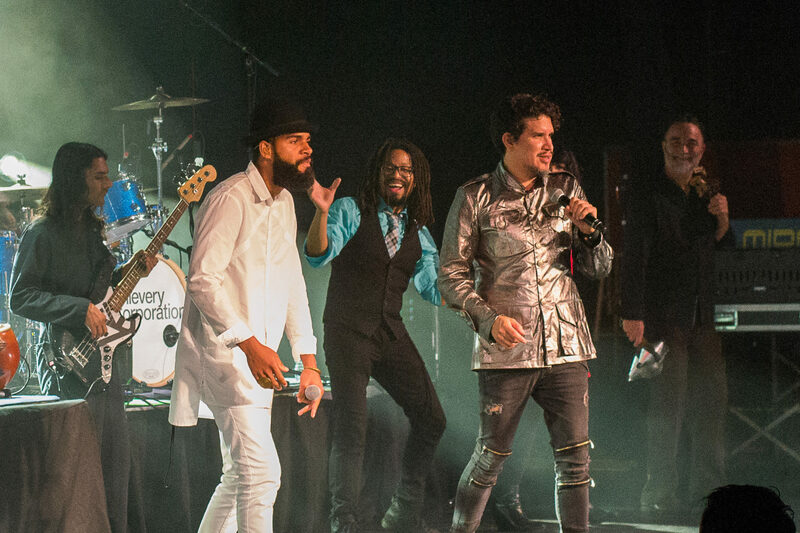 The yardstick is quality, and when it comes to quality, few reach the level of Thievery Corporation – a production duo from Washington DC that has been happily smelting vibes from all corners of the world since the mid-nineties. 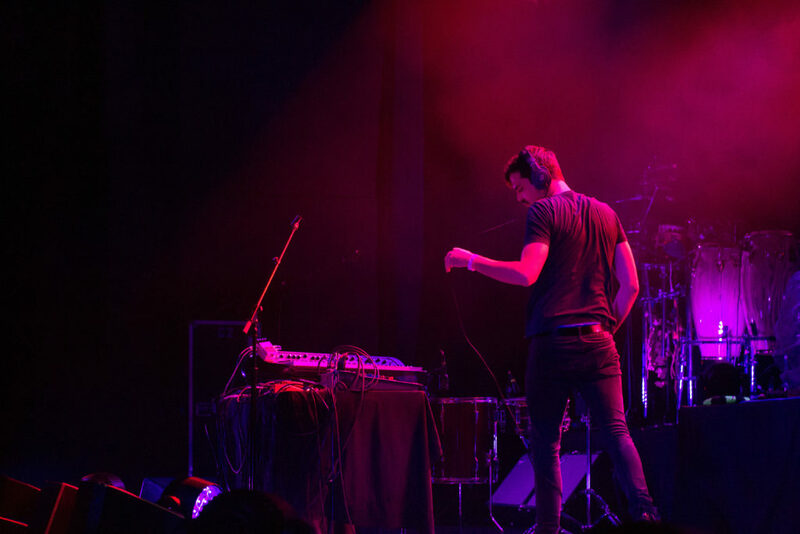 So, when the Aztec Theatre announced a night of Thievery – hot on the heels of electronic pioneer Bonobo – many in San Antonio were beside themselves. I boomed out of Leon Valley after an early gig to make the show. By the time I arrived at about 7:30, the lobby was buzzing. The merch table was swamped. 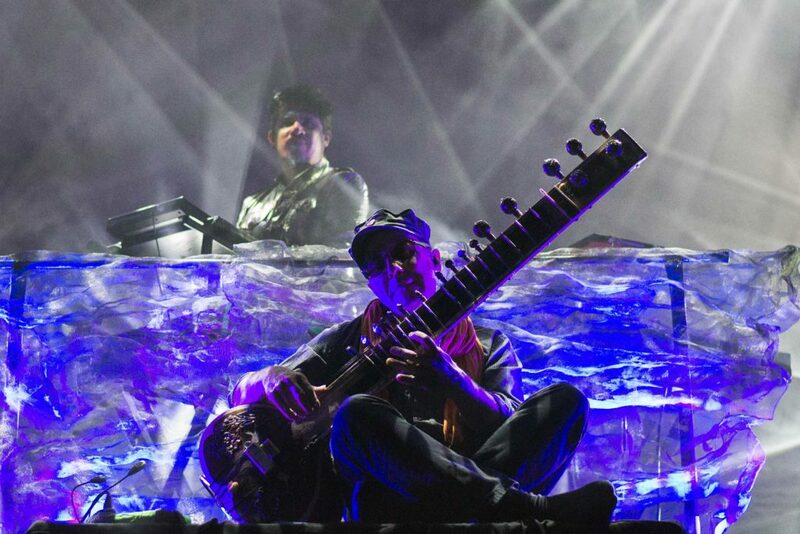 On the stage were laid out arrays of electronics and acoustic instruments, with a sitar on a small riser in the center. 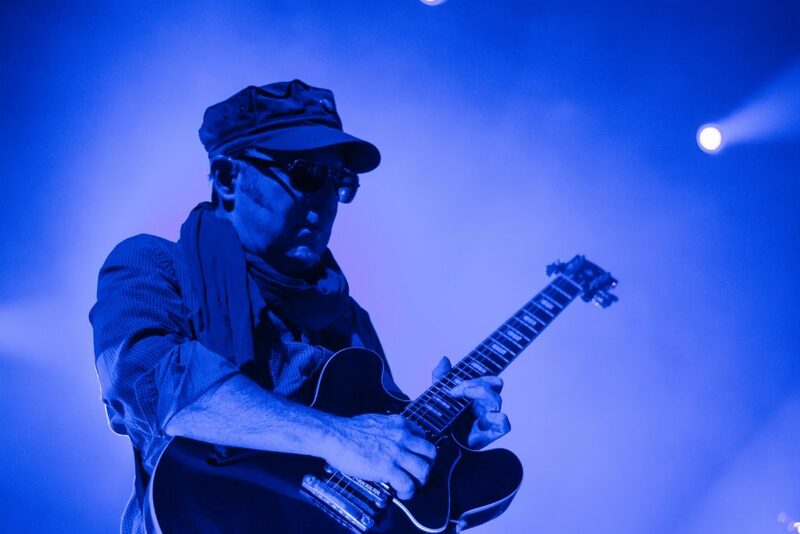 Many of us were unaware that there was an opening act – or that the table covered in hardware and festooned in cables at the front of the stage belonged to him. At 9:00, Austin’s Roger Sellers, otherwise known as Bayonne, took his place behind the controls. “I’m going to play some loops for you and we’ll see how it goes,” he said. Quite the understatement. 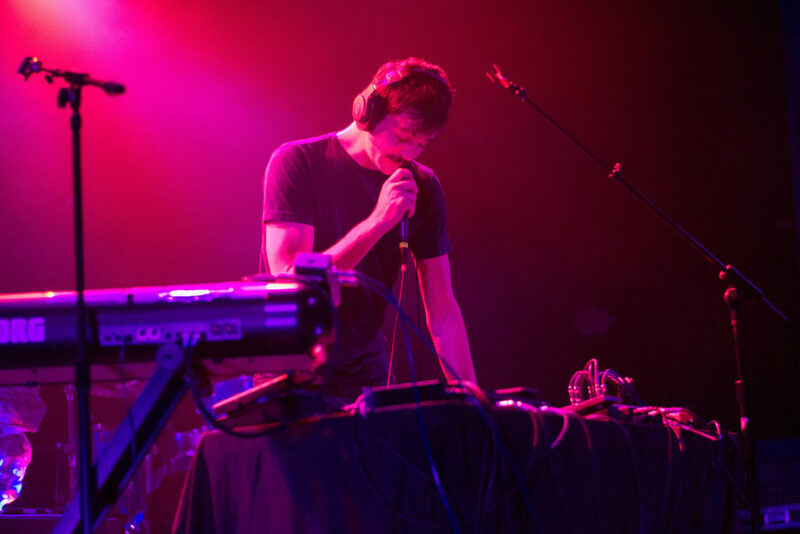 The blankets of sound Bayonne creates is lightyears beyond just “playing some loops.” Had he not been opening for Thievery Corporation, the breadth of his live-looping performance could have been enough to steal the show. But this is Thievery Corporation we’re talking about. At 10:00, the lights went out in the theater. 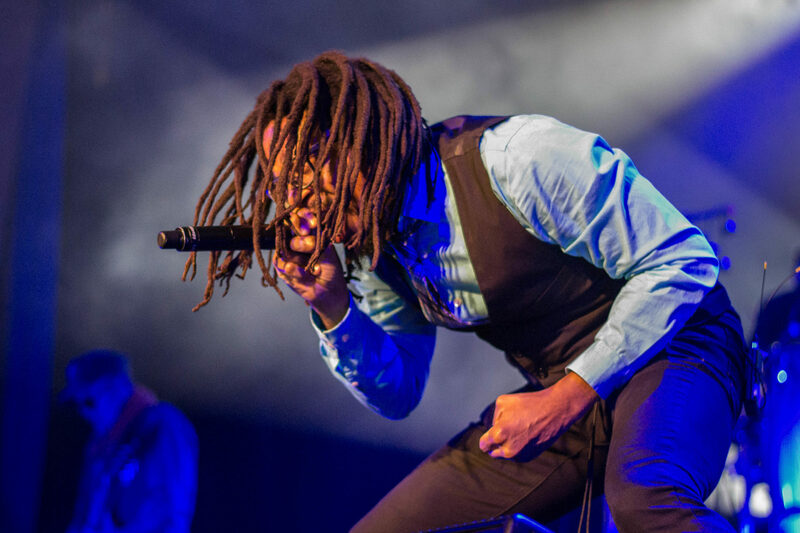 The crowd shouted over the eerie calm of the opening tune, “Marching the Hate Machines (Into the Sun).” The rest of the night was a tour-de-force of musical styles as the band changed gears from trip-hop to reggae to Indian-ragga inspired grooves. It seemed as though nearly every song featured a different, amazingly talented front man or woman singing in wildly different styles. 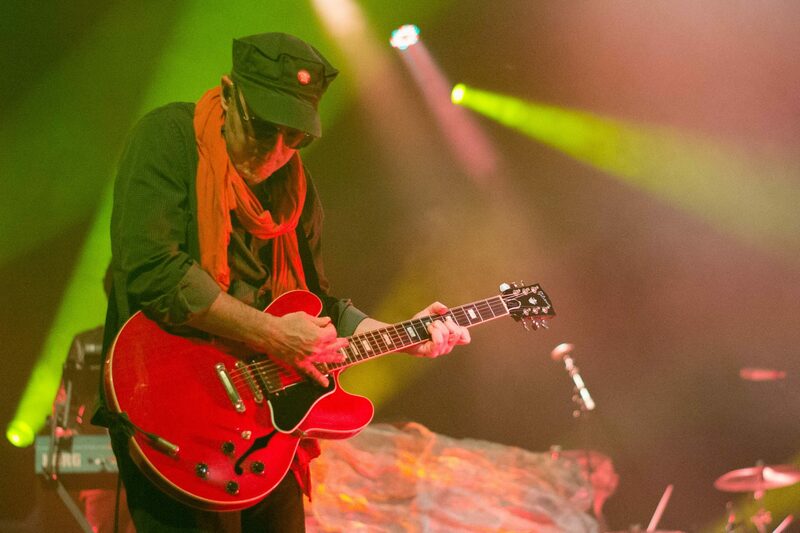 Eric Hilton delivered a powerfully energetic performance on guitar, but highlighting the night were the moments when he laid down the guitar to sit center stage with his sitar. Deep grooves carried the iconic sound of the ancient Indian instrument into the room, creating an atmosphere unlike any other. 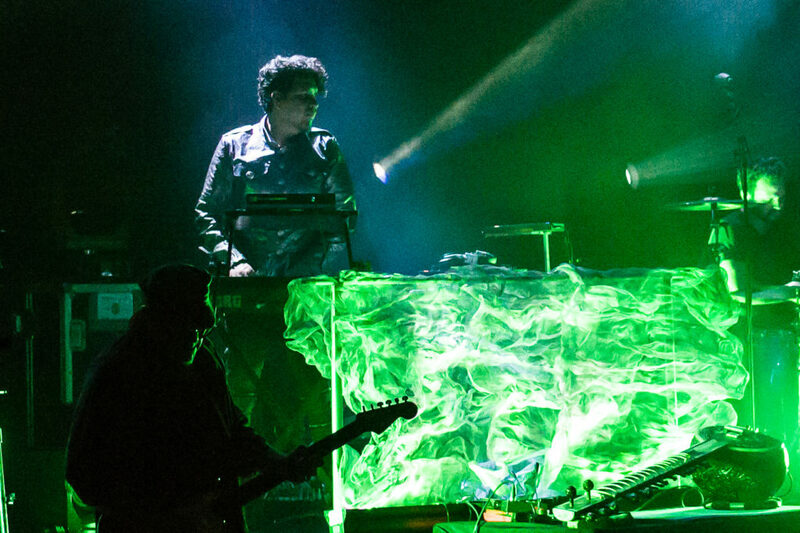 Rather than concentrating wholly on their most recent release, The Temple of I and I, Thievery Corporation’s set spanned their career, as they played music from albums as far back as Mirror Conspiracy. And to wrap up the night, Rob Garza stepped out from behind the DJ booth to introduce the band and join Hilton on guitar. 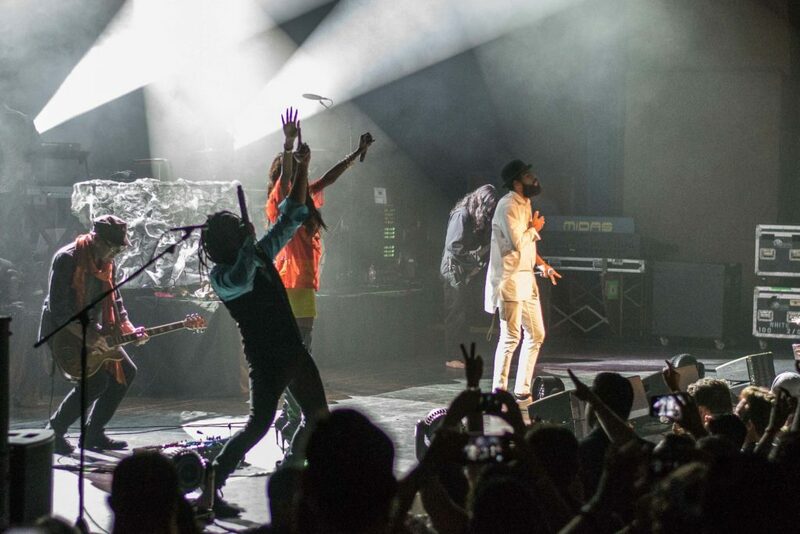 Was there an encore? 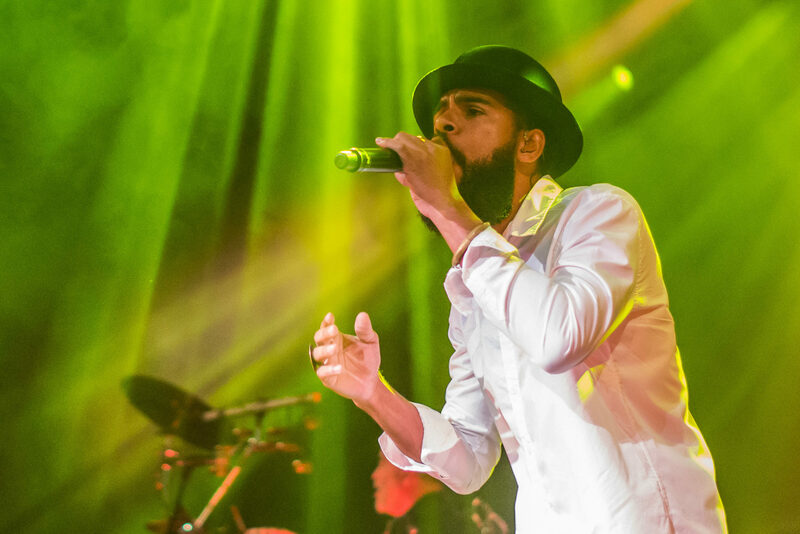 With a packed dance floor and people screaming from the mezzanine, there certainly was. 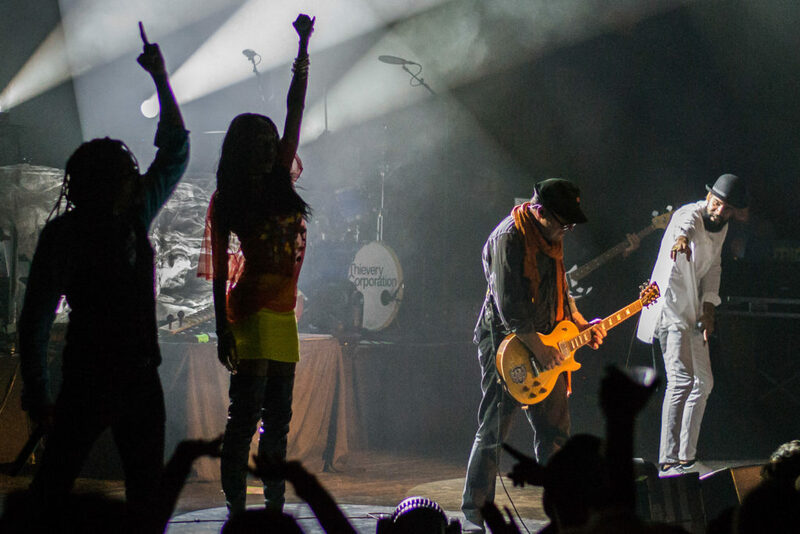 Not a little one-off encore either – Thievery Corporation’s encore felt more like a second set. They played a several more tunes before calling it a night at midnight. At first thought, one may think the inclusion of such divergent styles would lead to a disjointed sounding set. In the hands of an amateur DJ, that would likely be the case. 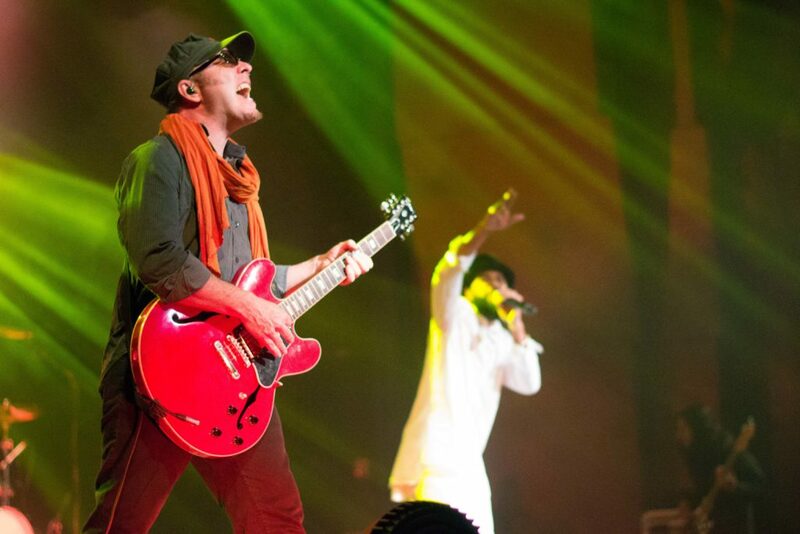 But Thievery Corporation has been at it for a while, and the result was a set greater than the sum of its parts. 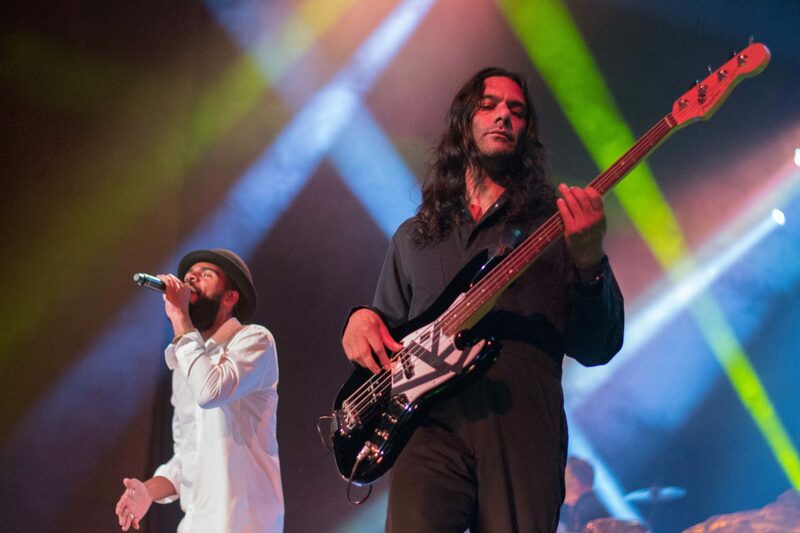 They play a wide range of music, but beneath it all is a unique current of infectious grooves that is uniquely Thievery Corporation.